In the 1950s corticosteroids and, shortly thereafter, other antimetabolites were introduced into clinical practice. Within a few years varicella zoster virus (VZV) was recognized as a cause of serious and life-threatening infection in the immunosuppressed host. It is apparent that cytotoxic therapy, administered for a variety of diseases, profoundly affects the host’s ability to respond to VZV. The severity and the frequency of VZV infections varies with the intensity and duration of the therapy. 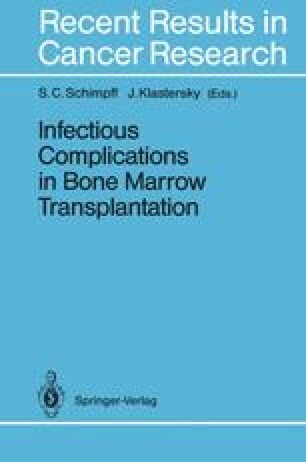 Organ transplantation, particularly bone marrow transplantation (BMT), is associated with some of the most intense immunosuppressive regimens and therefore is among the highest- risk categories for life-threatening VZV infection. Patients such as those with cancer, collagen vascular disorders, asthma, nephrotic syndrome, rheumatic heart disease, eczema, etc., treated with single or multiple cytotoxic agents and/or radiotherapy are to varying degrees at risk for serious VZV infections. Even short courses of steroids (≤3 weeks) have been associated with severe and fatal VZV infections.